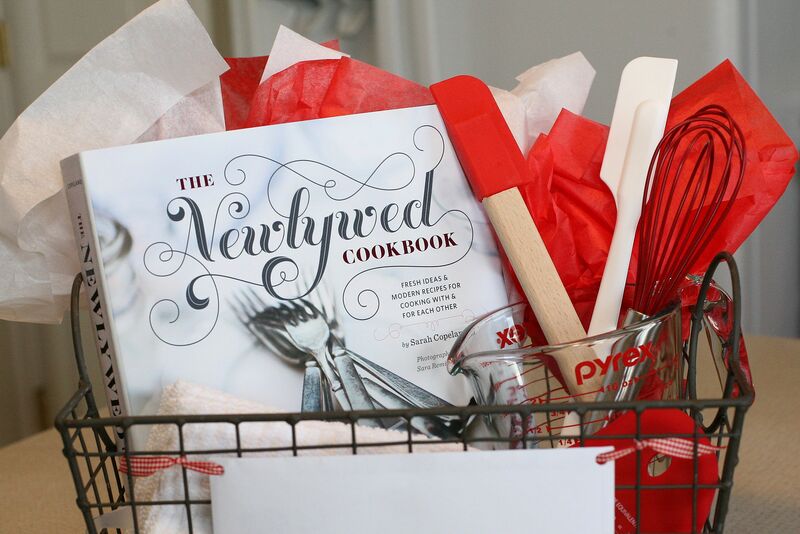 For my gift to the beautiful bride, I decided to do a kitchen theme with the primary color being red. 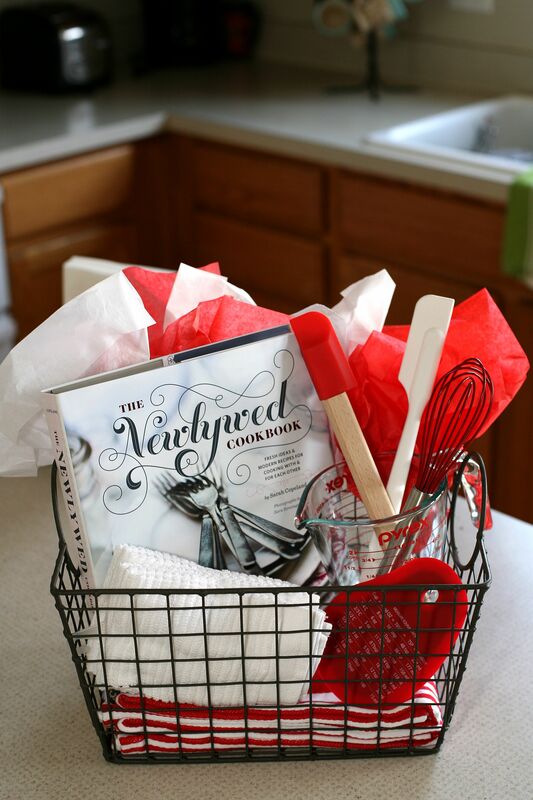 She has always been a fan of red and has talked about red accents in her kitchen since we were in high school. 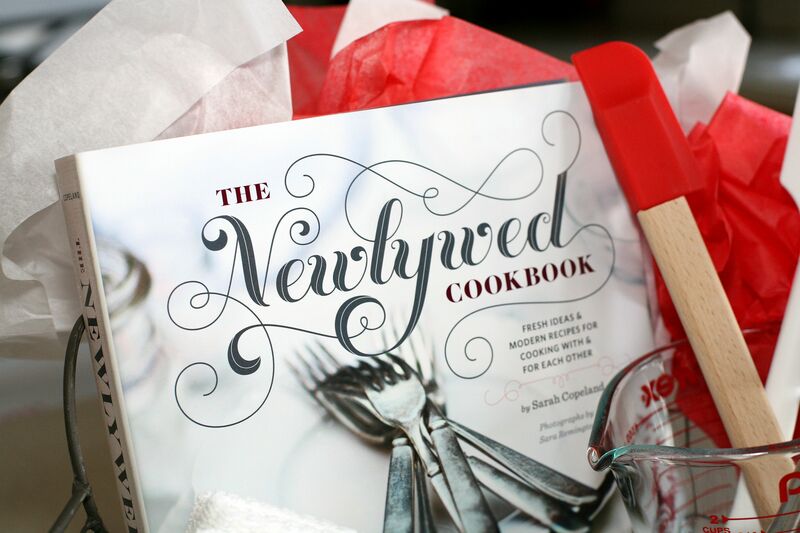 Now that the gift is ready to go my final task is writing a recipe for the future Mr. & Mrs. Each guest was sent a recipe card with the invitation and asked to bring it to the shower with a recipe written on it. We did the same for my bridal shower and I really enjoyed reading through all of them afterwards. 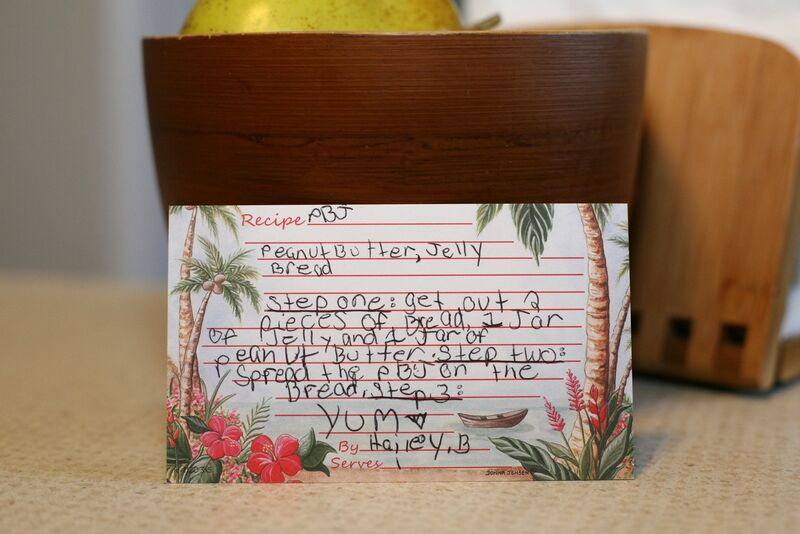 I received some fantastic recipes that are still referenced in our kitchen today, but my favorite one was from my sweet step daughter who provided me with the steps to make a classic PB&J! It was the best and this is certainly one of my most cherished recipes!